Spike Lee can be a very controversial director, though I typically find his movies somewhat difficult to watch. This is due less to the subject matter–though he can be a bit pedantic at times–than he has certain stylistic tendencies (such as putting the actors on dollies and pulling them through a scene) that typically feels more distracting than illuminating. In fact, the more ‘conventional’ Lee’s movies appear–such as Inside Man and Clockers, though so recall both have dolly scenes–the more I tend to enjoy them because they’re less about directorial affectation than telling a story as efficiently and as effectively as possible. 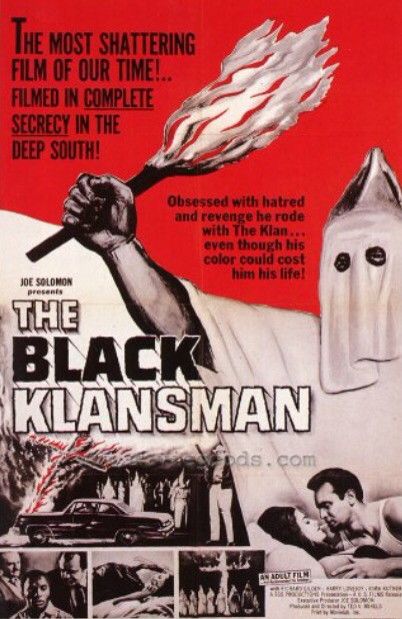 I can’t tell which camp BlackkKlansman will fall in, though I find it interesting that a similarly-titled movie was released in 1966. What I find particularly interesting about Lee’s film is that it’s supposedly based on a true story (which triggers my bs sensor because when that phrase is typically so loosely applied that it becomes almost meaningless). 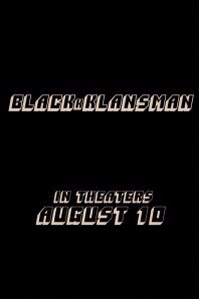 Though the thing is that the premise of BlackkKlansman (a black man infiltrates the Ku Klux Klan) sounds so ludicrous that I’m willing to bet that a lot of it will be end up being true. Posted in directors, Movies, Trailer Park, upcoming.Tagged Clockers, Inside Man, Spike Lee, The Black Klansman.